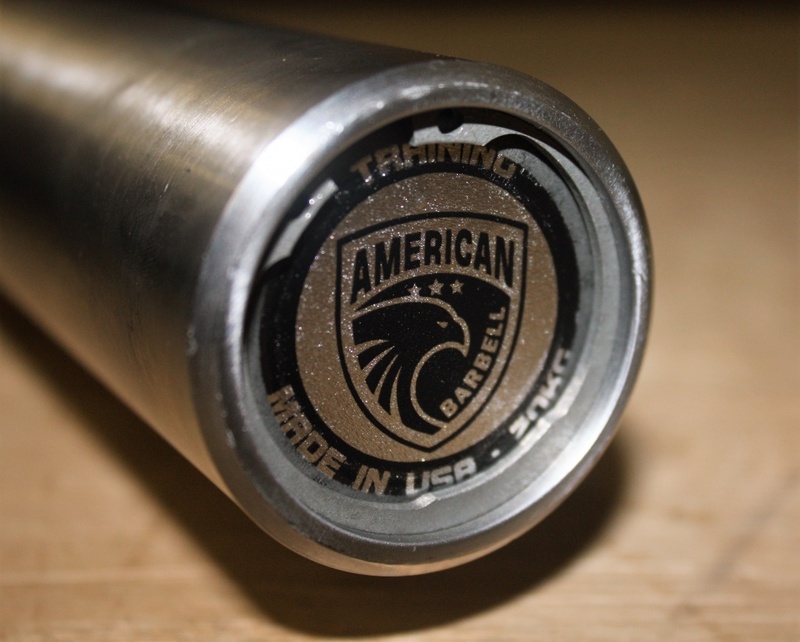 The American Barbell Cerakote Training Bar has a lot of great things going for it. It is a barbell that is visually beautiful while also being a solid performance oriented bar, it has a high quality Cerakote finish on the shaft, it is priced well below its value and more affordably than all of the bars it is competing with in the market, and is also made right here in America. This bar is a win in every category. American Barbell ships its bars in a heavy duty cardboard tube. 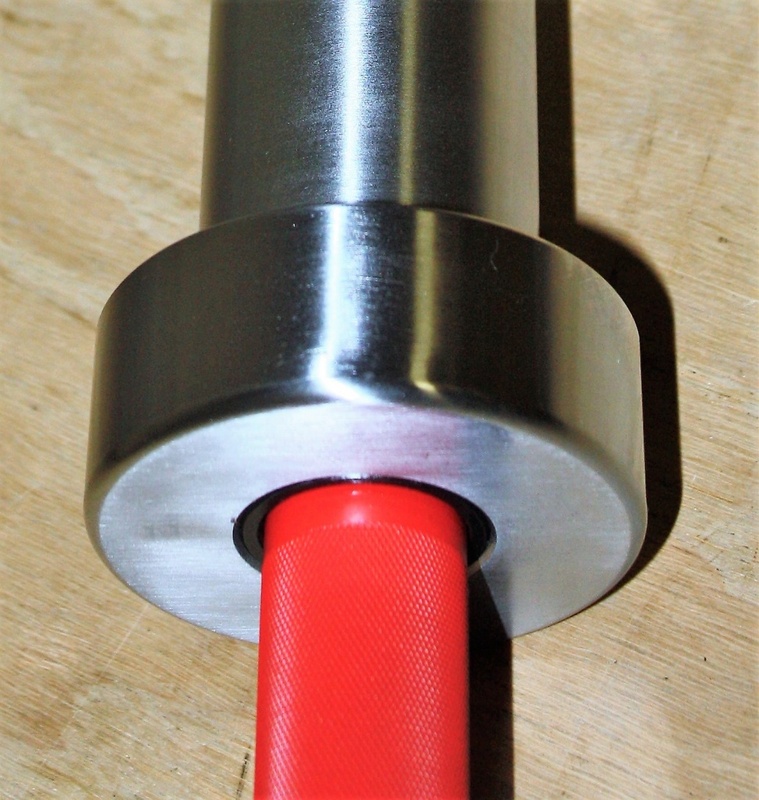 The ends of the tube have a metal cap screwed directly into the shipping tube and covered with a plastic end cap. There is no way the bar can accidentally pop through the end of the tube. Once you’ve removed the end cap from the shipping tube and slid the bar out, you’ll see the bar’s sleeves are covered in a foam wrapping that is taped in place then wrapped in plastic. 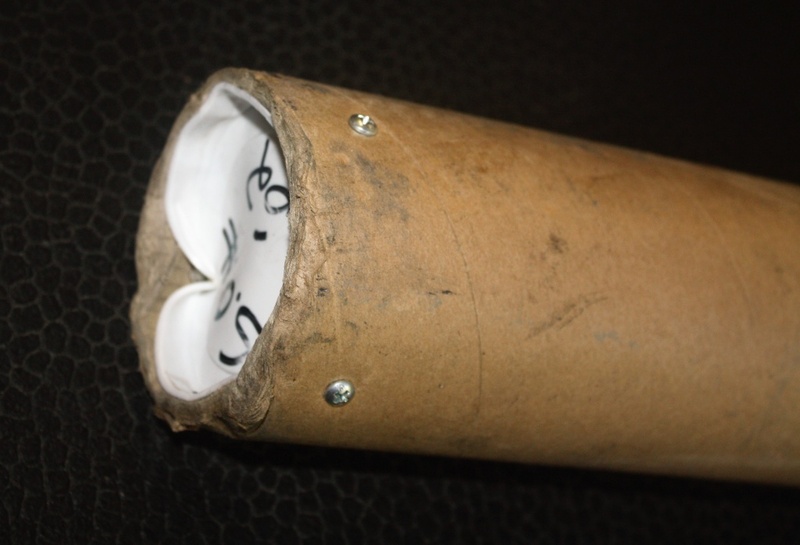 This holds the bar firmly inside of the cardboard tube, preventing the bar from bouncing inside of the tube during shipping and providing excellent protection for the sleeves and bushings so that the bar arrives to you in perfect condition. 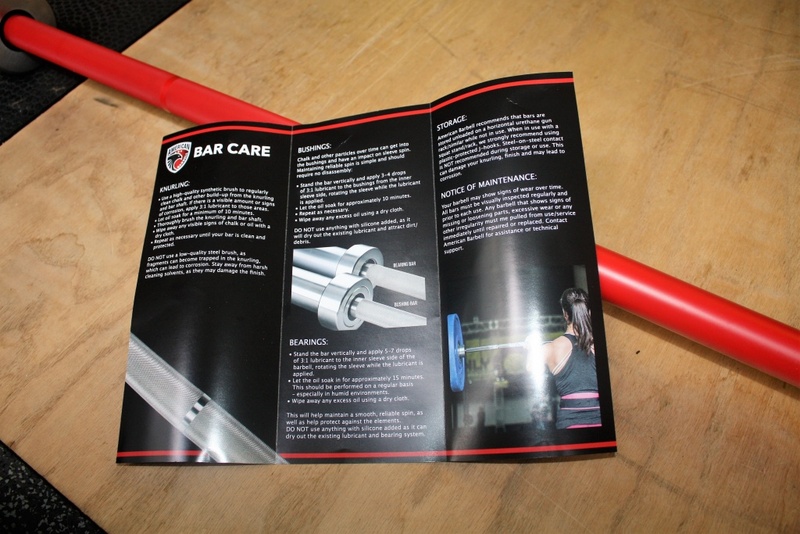 They also include a “care guide” that covers the basics of how to maintain your bar. The short summary is to use a synthetic brush, 3-in-1 oil, and to avoid metal on metal contact. The Cerakote finish is extremely durable, but no finish is invincible. Take care of your bar properly and it will serve you well for a very long time. The bar follows IWF specifications. This means it has a 28mm shaft, weightlifting markings, weighs in at 20kg, and follows all standard dimensions for weightlifting competition. The steel used in the shaft is 190k tensile strength and it has a composite bushing for the sleeves. The shaft is finished in Cerakote while the sleeves are finished in hard chrome. The 20kg bar is available in 9 colors including two shades of green, brown, black, red, blue, titanium, gray, and gold. There is also a 15kg women’s version of this bar available in pink and yellow and comes with dual IWF/IPF markings. The bar retails at $295. While shipping is occasionally free from American Barbell, it is currently about $25. You can get an exact shipping quote or find any promotions by visiting their website. The bar has a very well formed knurling. 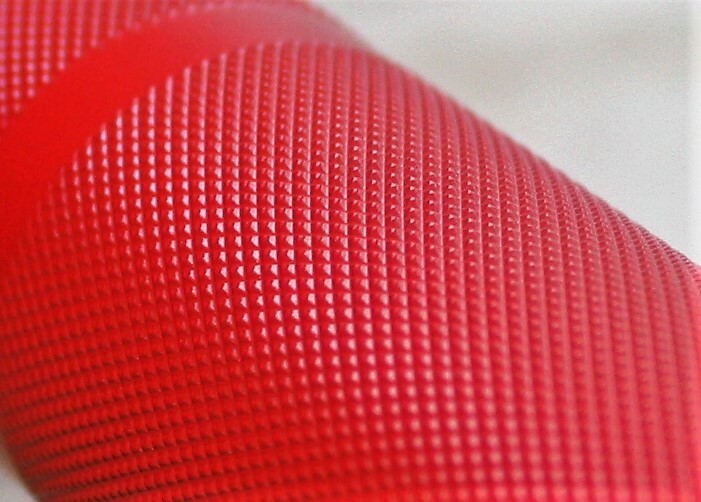 It is a finer, high density knurl pattern with uniform peaks. It provides a lot of grip without being aggressive. 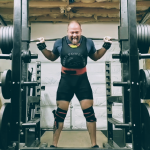 One of the weightlifting coaches compared it favorably with the Eleiko knurling on the bar that it was sitting beside on the barbell rack during its stay with CF Allatoona. The Cerakote provided a very sure grip, and felt like it was tackier than some other finishes like bright zinc. I was extremely impressed with how well the finish liked chalk. We put some heavy squats up and even without the center knurl, there were zero issues with the bar sitting securely on the athlete’s back. We did pulls up to 600 lbs without any grip issues also. Cerakote has been used on firearms like the AR-15 for years where grip and corrosion resistance are extremely important. The Cerakote finish lasts longer than both chrome and stainless steel in salt spray corrosion testing, meaning that if you keep this bar in a humid environment like a garage, basement, or warehouse gym, this bar will stay rust and corrosion free for an extremely long time. It is important to note that this is a coating though, and if you have hard metal-on-metal contact like from j-hooks that aren’t lined with UHMW that you can wear the coating in those locations. Make sure your j-hooks and your gun rack style bar holders are lined with UHMW and this will never be an issue. The sleeves use a high strength aircraft grade composite bushing for smooth spin and rugged durability. The Olympic lifters that used it commented that the spin was great and that their clean numbers were on par with more expensive competition bars. The sleeves themselves have the fit and finish expected from a great bar. The sleeves are held on with snap rings and feature an attractive end cap with the American Barbell logo. The end of the sleeve has a chamfered edge and the sleeve’s body is completely smooth. While many people are used to seeing ribbing on their sleeves, the smooth sleeves actually have more surface area for collars to grab on and the tighter fit helps plates stay in place instead of “walking” after repeated drops from overhead or setting down deadlifts. This bar is a 28mm bar and geared towards the Olympic lifts which means this bar has some pretty decent “whip”. This is a very favorable attribute for weightlifting and CrossFit. 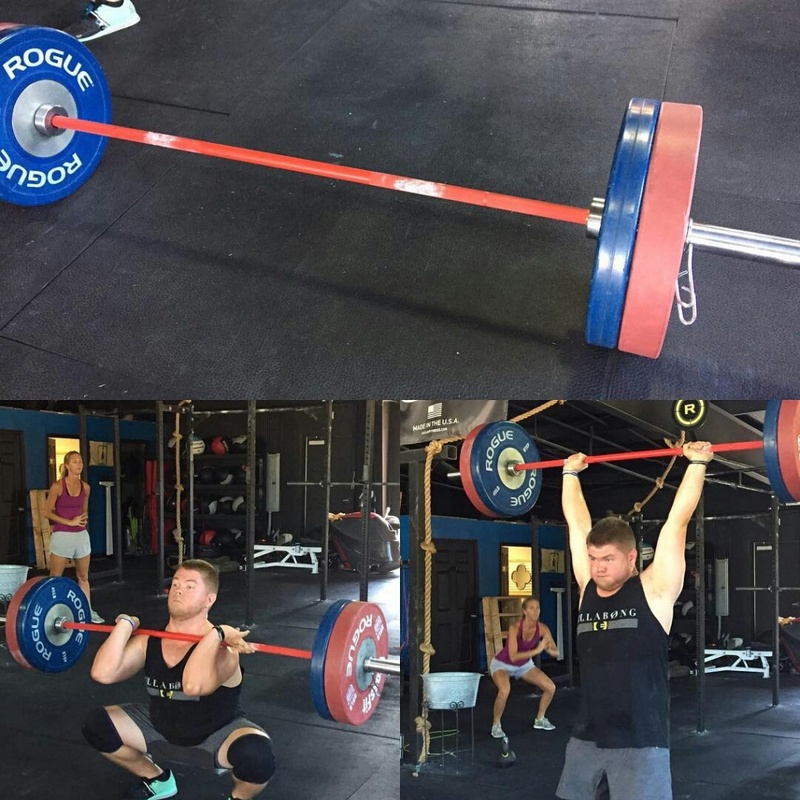 While I wouldn’t suggest this specific bar for anyone looking to skew their training towards powerlifting, the bar did fine on the static lifts for general training purposes. This bar’s features and price point put it in a really interesting place in the market. I’m of the opinion that the bar really only has 2 competitors currently: the Rogue Cerakote Ohio Bar and the Rogue Training Bar. The Rogue Cerakote Ohio Bar retails at $325, which is a 10% premium over the American Barbell Cerakote Training Bar. Rogue’s bar is 28.5mm with dual markings instead of the AB’s 28mm with IWF markings. The steel strength, bushing construction, snap rings, and most of the other features are similar between the two. Rogue only offers 6 colors (although they do offer black Cerakote sleeves, but you don’t want that – remember what we said about metal-on-metal contact and what it does to the coating?) to American Barbell’s 9, but does offer all those colors on its 15kg version compared to American Barbell’s 2. AB does have pink for the 15kg bars while Rogue does not. Outside of the cosmetic discussion about color, the biggest difference here is that the American Barbell is a true 28mm, which performs better at the Olympic lifts, and it is 10% less than the Rogue. The Rogue Training Bar is also $325, but comes in 28mm with IWF markings, black zinc finish, and has bronze bushings instead of ceramic. When compared to the American Barbell Cerakote Training Bar, we again see a 10% premium between the brands. The Cerakote finish is a premium upgrade over the black zinc that is not only more durable and grippy, but also comes in a variety of colors (including black). The other difference is the bushing being the traditional bronze instead of ceramic. There is really no performance difference here though. Neither bronze nor composite is inherently better than the other material – what matters is quality, and both of these bars use quality bushings. The American Barbell Training Bar is far more similar to the Rogue Training Bar than it is the Ohio Bar. Rogue’s regular Ohio Bar comes in black zinc for $282 or black oxide for $295. That means Rogue is charging a $30-42 premium for their Cerakote when compared to $325 for the Cerakote Ohio Bar. That means that if Rogue were to offer the 28mm Training Bar in a Cerakote finish, it would be a $367 bar which is around a 25% premium when contrasted with the American Barbell Cerakote Training Bar at $295. 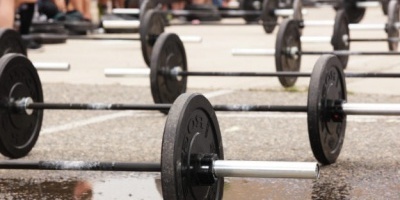 The value proposition is clearly there for American Barbell. Add to the fact that Olympic Weightlifting coaches were comparing the knurl and feel of the bar to $800 Eleikos and it’s obvious that the American Barbell Cerakote Training Bar is a damn good bar at an extremely competitive price. The $300 barbell market is chock full of bars, but American Barbell stands out as one of the best offerings in this price point. You can get the Cerakote Training Bar direct from American Barbell.